The brown-bag lunches to provide more information about the strategic initiatives are over and it is time to start working on them. Here are the initiatives that will need implementation committees. I want you to let me know if you are interested in working on one of them. You may want to refresh your memory by looking at the document that included short descriptions of the DAC’s recommended strategic priorities. You also can click on each item listed above to get more information—either a summary of comments from the lunch discussion, or updated ideas from the public leadership group about its original proposal. The ethics education priority is not listed because it already is moving forward, and the streamlined curriculum in local government budget, finance, and taxation will be developed by the faculty members in those areas. I have decided to separate the question of faculty incentives for getting grants and contracts from the question of infrastructure. The Faculty Salary Committee is the appropriate place to work on the incentives question, and I will convene that group to work on incentives and possibly other salary issues. I will appoint implementation committees as soon as possible and give them their charges. For purposes of continuity I will appoint some people who were involved in developing the original proposals, but I also want to bring in new perspectives. 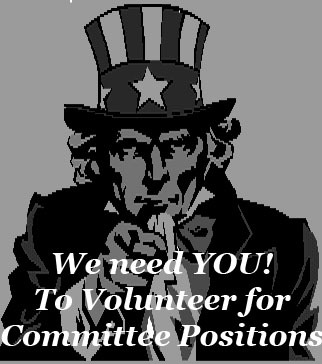 Please let me know by this coming Monday, November 23 if you are interested in serving on one of the committees—just send me an email. Even if you have expressed an interest already, please confirm it so that I don’t inadvertently overlook anyone. I will accommodate as many people as possible, but I also want to keep each committee to a manageable size. Thanks to everyone who hosted, facilitated, or attended one of the lunch discussions. Now let’s make these things happen.